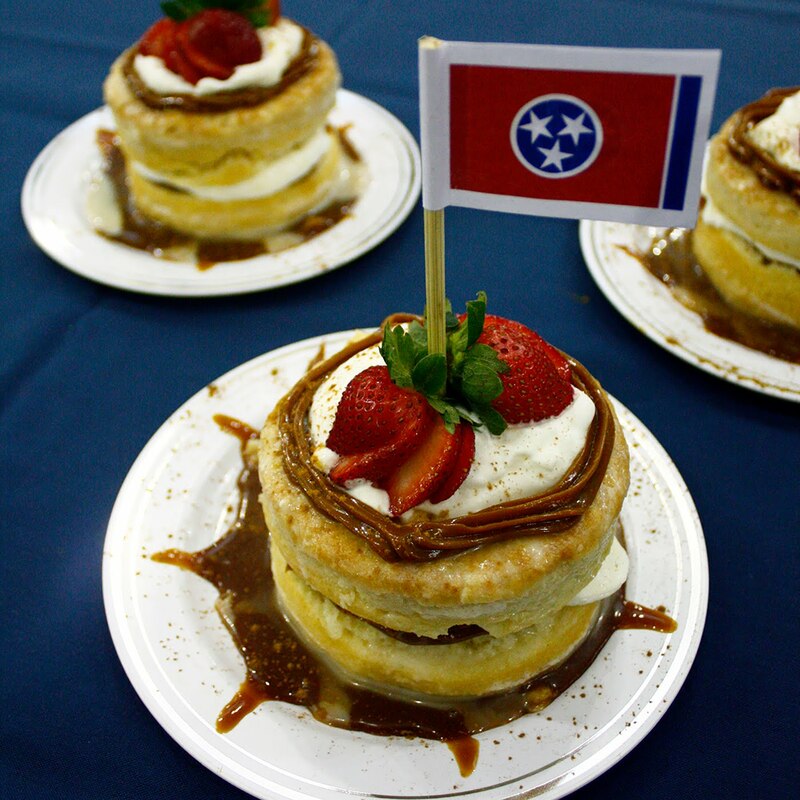 From Loveless Cafe in Nashville, Tennessee, this recipe was inspired by the popular Tres Leches Cake, this recipe fuses the rich Latin cake with traditional Tennessee buttermilk biscuits. The addition of buttermilk and dulce de leche make for a combined total of five distinct milks that are sure to have you and your guests coming back for more. This recipe won second place in the 2015 Loveless Cafe Biscuit Contest at the Williamson County Fair. Add flour to small mixing bowl. Cut butter into flour until the butter pieces are approximately the size of small peas. Add buttermilk to flour mixture and gently mix in. Turn the contents of the bowl on to a well-floured work area. Knead the dough 3-4 times. Roll the dough to approximately 1/4 inch thickness. Cut dough with large round cutter and place on greased cookie sheet. Bake on center rack of oven for 15 minutes until tops of biscuits are golden brown. While the biscuits bake, mix the evaporated milk, condensed milk and 1/4 cup of cream in a bowl or pitcher with a spout. Remove the biscuits from the oven. Allow to cool for 5 minute. Split the biscuits in half and place in a 9 x 13 baking dish. Pour milk mixture slowly over biscuits. Allow to sit for at least 5 minutes. Whip 1 cup heavy whipping cream, sugar and vanilla until fluffy. Place biscuit bottom on plate. Spread layer of dulce de leche on top. Add desired amount of whipped cream. Place biscuit top on now. Add more of the milk mixture if desired and finish with more dulce de leche and whipped cream as desired.